Hawaii really is paradise. My family and I are staying at the Hali’i Kai resort in the Waikoloa area on the Big Island of Hawaii. Located next to the gigantic Hilton resort, the Hali’i Kai area is a nice quiet and remote contrast. Not to mention the view from the pool area is spectacular. We did some exploring up north of where we are staying and found two fabulous places we are already hoping to return to. 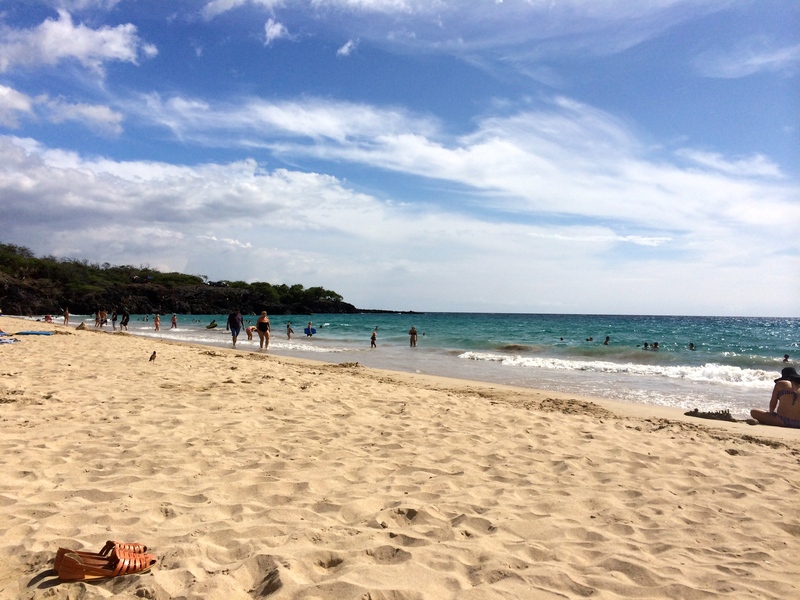 First we stumbled upon Hapuna beach. 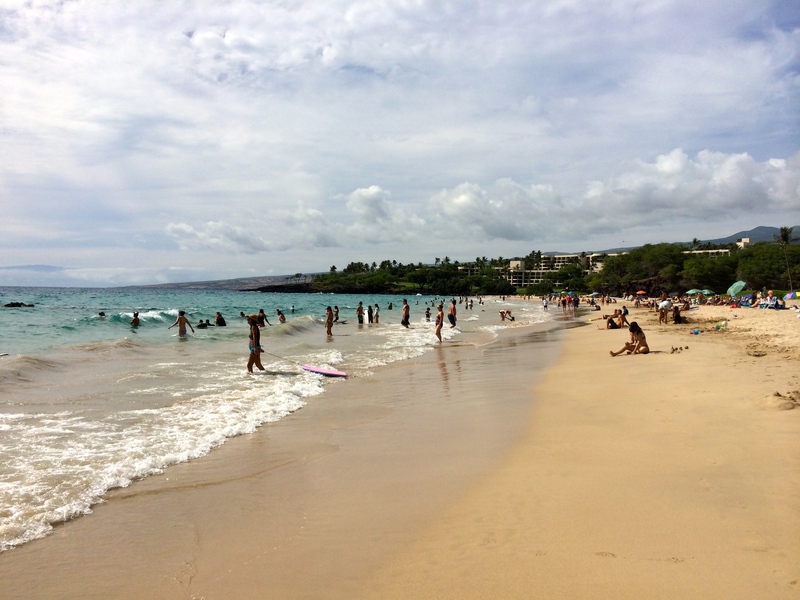 Known as one of the most beauitful beaches on the island even a hot spot for locals. So since it was Saturday and a holiday weekend, the beach was packed. The turquoise waters and soft sand kept us around for a while until we were off to find a refreshing cold drink. We had a lovely table outside with a view of the pool area as well as the ocean. We all ordered refreshing drinks, but the real kicker was the mouth-watering chips with guacamole, salsa and ahi poke dip.